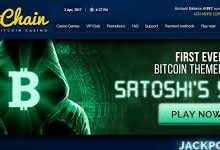 Available in 10 languages, Betchain is amongst the top designed Bitcoin Casino sites available on the market. The design makes it easy for players who are not familiar with digital currenices to get started. 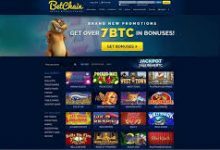 Complemented with a a huge variety of games , Betchain provides it’s new players with a welcome and a deposit bonus. 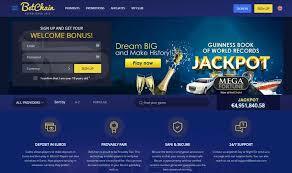 Additional promotions are provided on a weekly basis, including free spins to all players. 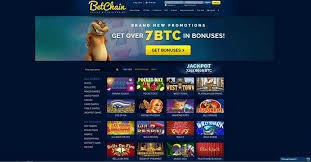 When signing up for the Betchain VIP program, players are able to receive larger loyalty bonuses. 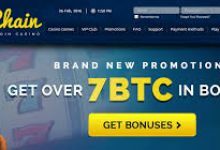 The Betchain platform has been integrated with Cubits, an all-inclusive platform to buy, sell and accept Bitcoin . 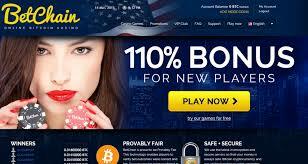 New and existing users can deposit funds in the currency of their choice, and have it converted to Bitcoin instantly. Similarly, withdrawals can be made in both Bitcoin as well as fiat currency. Aside from Bitcoins, BetChain also accepts Cubits, Visa, MasterCard, LAVA Pay, Neteller, Puggle Pay, Skrill and Paysafe Card. To deposit funds to your BetChain account, simply click the “Add Currency” button on your account dashboard, choose between EUR or USD and then select the payment method you wish to extract funds from. 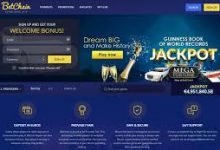 BetChain offers email and live chat support. Unfortunately, the live chat feature is not available all the time.